The method for testing how well we are able to see without the help of glasses hasn't changed a great deal in over a century.It follows a basic principle: read from rows of gradually shrinking letters until you're unable to distinguish the shapes any more. From this, opthamologists can determine people's clarity of vision. The most well known test is the Snellen chart. It was introduced around the same time as a rival test called the Monoyer chart. Named after its creator Ferdinand Monoyer, the Monoyer chart was designed more than 100 years ago and was the first eye test to use a decimal system. Today, on what would be Monoyer's 181st birthday, he has been honoured with a Google Doodle. 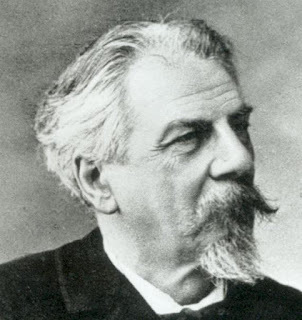 Monoyer, who was born in France in 1836, pioneered the way we measure eye sight. He grew up in Lyon before moving to the University of Strasbourg in 1871. He eventually returned to Lyon, were he died aged 76 in 1912. He is best known for creating the Monoyer chart, as well as introducing the dioptre as a measurement for visual clarity.